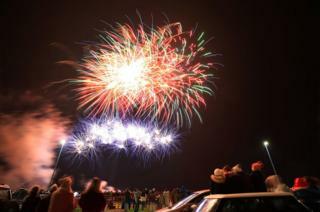 The Scottish government is to consider tighter controls on the use of fireworks. The move follows increased concern over anti-social behaviour linked to their use. Community safety minister Ash Denham wants to hear the public's views and a consultation will begin next year. The study will consider measures to reduce their misuse, including restrictions on where and when fireworks can be used. "However, there were still a number of concerning reports and I am keen to hear the public's views on the impact of fireworks and action we could take to improve the situation further." Assistant Chief Officer David McGown, said: "Our service welcomes any wider public debate around matters of safety, which includes fire, and in particular the use of fireworks.